I spent the last six and a half years working for Lush. 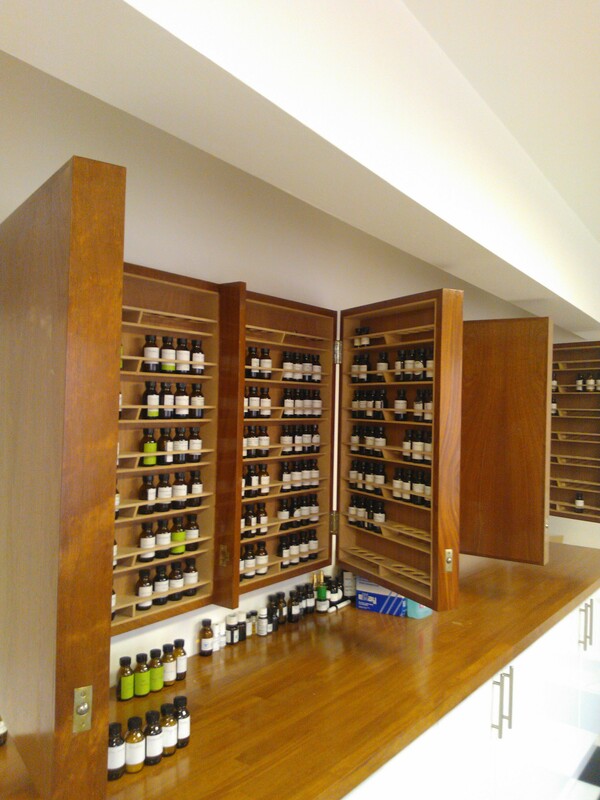 I left in December 2012 and here’s a low-down of the last perfumery work I did for them. The best-selling new Lush perfume of 2012 was a creation that came about as a side-project of Christmas product scent work. I was given a bath product that looked like the first Lush shop (29 High Street in Poole). “Make it smell nice” was a reasonable enough brief but I needed a more specific spark to get going. It occurred to me that the only acceptable scent for something that looked like a Lush shop would have to be… the smell of the whole shop. Since our customers had been asking for the “smell of Lush” in a bottle for years I thought it would be an interesting challenge. Now, trying to tame that tutti-frutti scent into something wearable; that was quite a different matter. I chose to go for part pragmatic and part impressionist route. First I looked through the data our buying team had on the tonnage of each perfumery material used per annum. I then adjusted for odour strength and I had a skeleton from which to start building something. I decided to pick out elements from well-known Lush products and added hints of the skincare scents and a powdery, woody base. The scent I made didn’t end up in the ballistic. Mark decided to pop it in bottles and sell it at a company event in the summer. It sold several hundred bottles in two days and later became the best-selling scent in the Gorilla Perfume pop-up shop in London. As it has been a limited distribution, event-based scent, demand has exceeded supply and it has been fetching three or four times the retail price on eBay. The Christmas scents themselves proved to be fun and successful – I get immense enjoyment from something as simple as making a good soap fragrance. 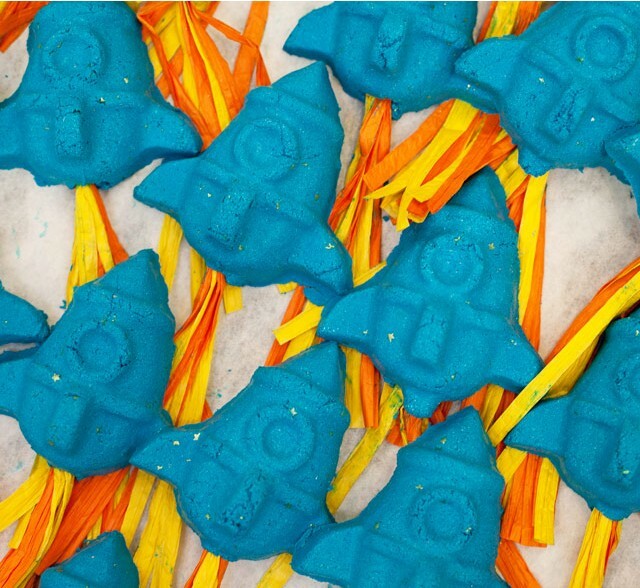 It’s fantastic to know that Northern Lights did extremely well for a second year running and the Party Popper became the best-selling new Christmas Product for Lush, full stop. Northern Lights soap. Back from 2011. 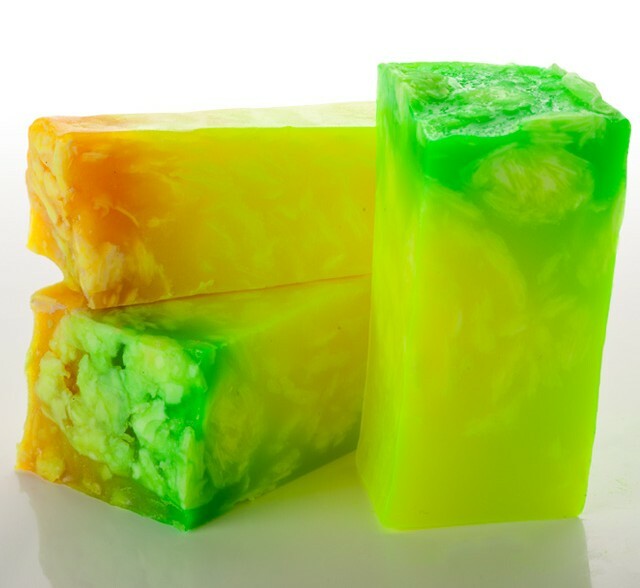 Wesley made a gorgeously bright neon soap and I got to make the scent for it. I used lots of cypress and pine and added lime and aldehydes to make it smell cold. There’s a a floral hint in there, too, to give a “multicoloured” effect. Overall I was going for “standing in a freezing Finnish forest, looking up at the northern lights.” I made sure to use some antibacterial and antifungal materials so the product should be good for problem skins and as a kitchen soap. The scent can be divisive because of associations with pine and citrus to cleaning products but I find this a really great one to use in the morning shower when feeling knackered in the depths of midwinter. Best-seller. North Pole soap. This was created by Michelle in the creative team. 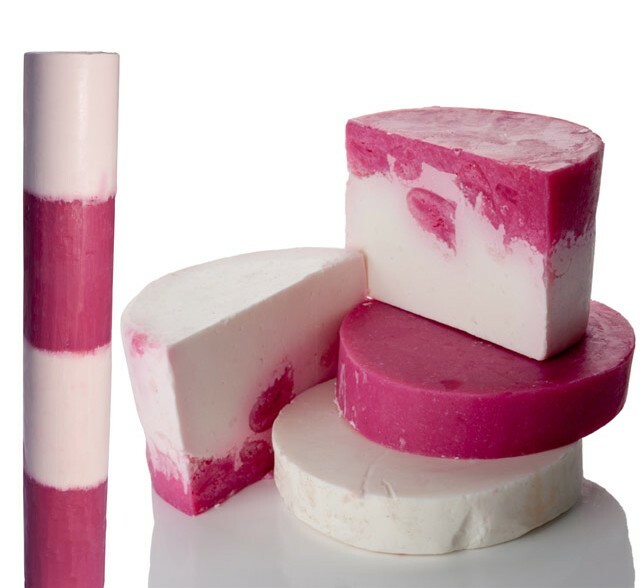 I happened to have created two scents inspired by peppermint bark chocolates and one of the perfumes went into the white part and the other into the pink. One of them is like mint chocolate candy and the other is a woody mint fragrance. 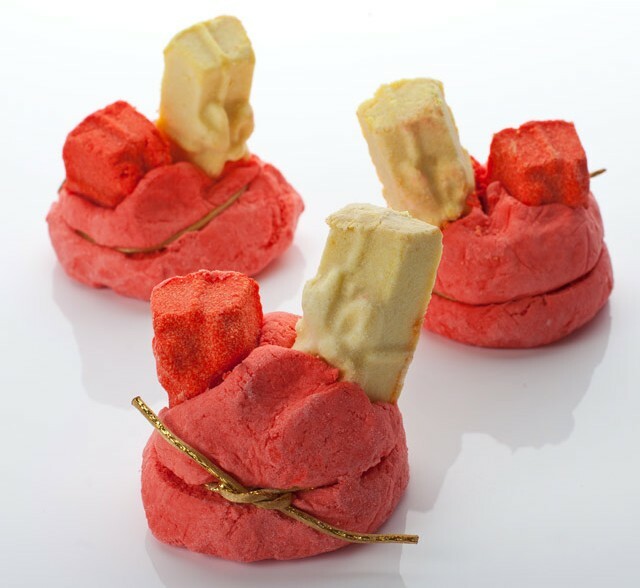 I think they came out just on the right side of sweet and the woody part makes the scent a little less edible and more like a soap. Mr. Punch soap. One morning I chatted with Noriko about an idea I’d had for a Pimm’s type scent; I really wanted to capture that cucumber/lemon/mint/orange/strawberry/gin thing in a perfume. Noriko said that she was just about to start working on a new soap but wasn’t sure what to do yet. 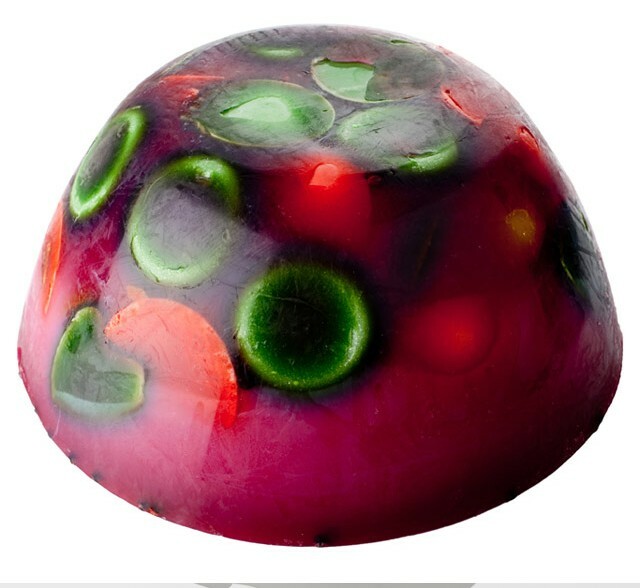 We plotted together that day and Noriko went into her lab and I went into mine and she made this beautiful punch soap with all those gorgeous fruity pieces and real juniperberries. I made a boozy punch fragrance. It was originally going to be a summer soap but Mark pinched it for the Christmas range (and I suppose it makes sense since a lot of Lush countries have Christmas during summer!). Simon altered the fragrance slightly by adding more fruit to it. I also experimented with the original scent as a cologne and tried it this summer. It’s very green at first and dries down to the smell you end up on your fingers after you’ve been eating strawberries. 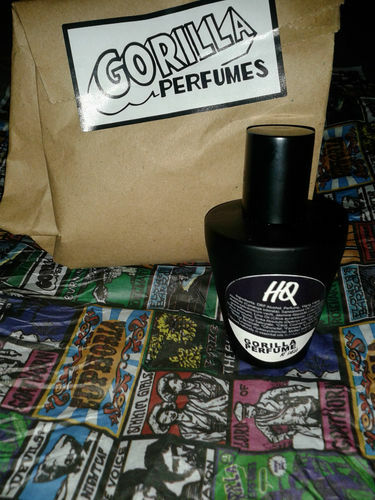 I doubt it will ever actually become an actual cologne but it was a really nice little experiment. 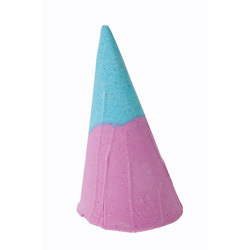 Party Popper bath ballistic. Wesley made a popping, fizzing bath popper using his new soap paper streamers inside (made of melon!). His invention demanded some kind of sparkly scent so I used a dry, sparkling floral theme which to my mind evoked fancy Champagne or a “fizzing” sensation. It’s probably likely to appeal to fans of Ginger perfume and anyone who likes non-sweet floral scents. I really enjoy working with ginger as a material and want to do more with it soon. 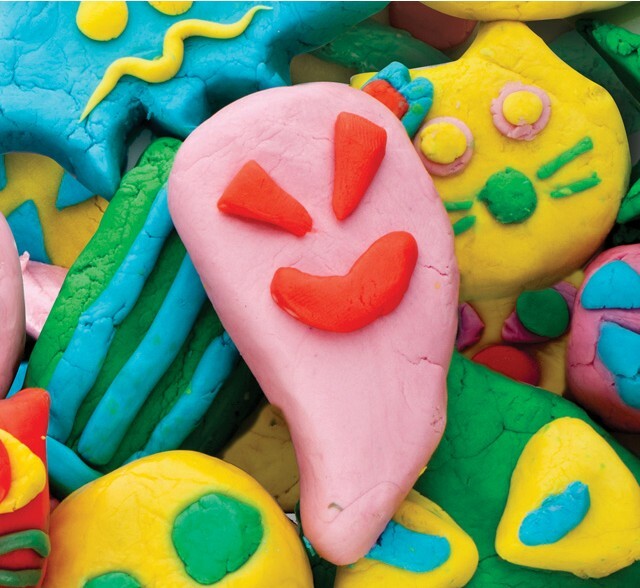 This became the best-selling new Christmas product in 2012. 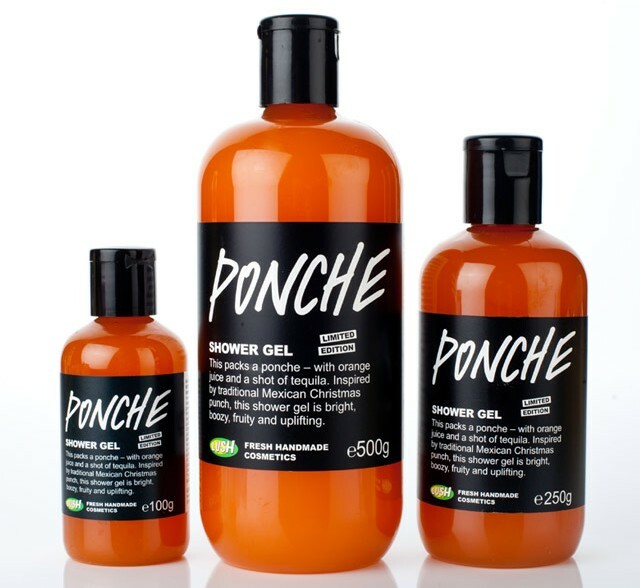 Ponche shower gel. There was a sort of accidental booze theme going on… Hannah brought back some really inspiring things from Mexico and one of the things we looked at was a description and photos of Mexican spicy punch with tropical fruits. Wesley made a beautiful shower gel with fruit and spice infusions and I created a boozy citrus fragrance with a hint of spice and tropical fruits. One of the key ingredients in the fragrance is Davana oil which is actually a kind of weed that grows in India. It smells boozy and fruity and adds punch to the Ponche fragrance (terrible puns are Lush bread and butter. I’m so sorry. I’m also partly responsible. As I’ve said before, I’ve got an overactive pun gland). Rocket re-usable bubble bar. When I saw the purple rocket ships that had been designed I immediately went into violet and blackberry kind of mode. The rocket became blue in the end though. The first version of this fragrance was quite fruity. Simon made the second version of this fragrance with extra oomph using spicy firetree oil as “rocket fuel”. (I warned you about the puns). 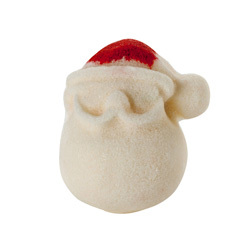 Santa’s Sack bubble bar. Helen and I were talking about Wesley’s concept for this bath product and we started discussing the way red and white Santa colours really came from Coca Cola. I’ve been telling people about this awesome Finnish Christmas film called “Rare Exports” which is a comedy horror film exploring the pagan roots of Santa. Anyway, when it came to creating the fragrance for this product, I wanted it to be spicy and warming but I also wanted to put in the “joke” about a Coca Cola Santa. So the red santa’s sack smells like a spicier version of cola. 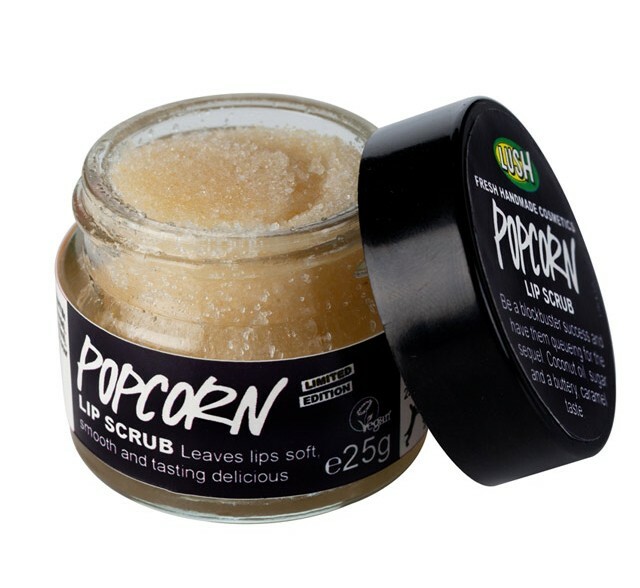 Popcorn lip scrub and Let the Good Times Roll popcorn cleanser. These both have the same fragrance (which actually started as a flavour for the lip scrub!). It smells cookie-dough-ish or like caramel popcorn. Noriko and I ate through almost a whole pot of the lip scrub. For testing purposes. Don’t eat the cleanser though. The popcorn theme was quite challenging when I first heard about it so I looked at a sheet of popcorn flavours and chose the one that seemed to go well with the products. I don’t think cheese flavoured lip scrub would sell all that well. Sandy Santa sugar scrub. So, apparently in Brazil, there are sand-Santa competitions on the beach. That inspired our team to create our own sand sculpture. I wanted to use Brazilian materials for the fragrance (Brazilian orange) and the sandalwood is a terrible pun (sand… alwood…). As it happens, I think that orange and sandalwood go really beautifully together. This is a citrus with a subtle, floral/woody backdrop. I am really tempted to dilute some of this scent in alcohol and bottle it. I also made the scents for the pink and yellow FUN! Pink has become an instant best-seller in UK (which has a lot to do with the colour – our UK customers do love their pink products!). I do think the scent is quite fun, too; very fruity, a little floral and has a sweet back-drop of benzoin and tonka. The yellow fun has a vanilla-almond scent which was very tricky to do as vanilla discolours really badly. It leaves a lovely scent on your skin after use. It will be a while before I get to work on product scents or perfumes again (I’m finishing my course and working on some other things for a while first) so I’ve stashed a few of these products away to enjoy them while they last. I had some of the best time of my life in this lab, using the well-stocked perfume organ and dreaming up scents for Lush products. Ever since I first got past the hurdle of being able to construct something with intent, and speak a few, simple perfume “sentences”, I’ve known that perfumery is something I will do for the rest of my life. Getting to that zone where smells are turned around in my head every which way, blended in the imagination and even occasionally smelled phantosmically – that’s a very special altered state of consciousness that I am now completely hooked on. Even though creating scents is most often compared to composing music, I’ve always thought of perfumery as volatile stories; volatile fiction, mostly. I feel as though I’ve reached a stage where my skills extend to being able to say “Hello, nice to meet you! It’s a beautiful day and your have a gorgeous smile!”. I’d like to be able to write the perfume equivalent of slipstream fiction and best-selling novels; poetry and sonnets; passionate letters to imaginary lovers.